TriStar Motorsports will continue competition in NASCAR's premier series fielding one full-time entry in the Monster Energy NASCAR Cup Series for the 2018 season. The No. 72 Chevrolet will compete with collective efforts of two drivers. 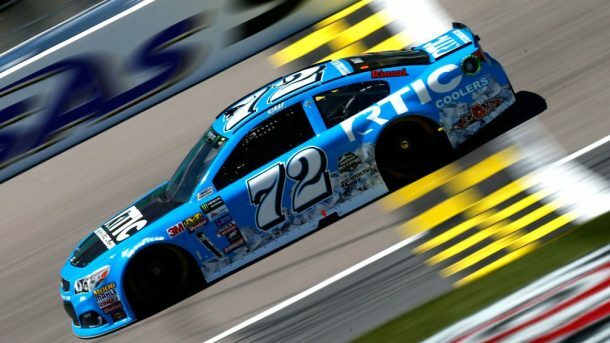 TriStar welcomes the return of Cole Whitt and proudly announces the addition of Corey LaJoie to the driver lineup. Corey LaJoie will fill the seat of the No. 72 for the majority of the schedule including the season opener at Daytona International Speedway. Whitt returns to TriStar after a solid effort in No. 72 in 2017. With intentions to shift focus, Whitt has elected to decrease his racing commitments and has requested a limited schedule. Whitt's NASCAR career includes seven years on the circuit and races in which he has competed in NASCAR K&N Pro Series, NASCAR Camping World Truck Series, NASCAR XFINITY Series and the Monster Energy Cup Series. He completed the full 2017 Monster Energy NASCAR Cup Series in the TriStar Motorsports No. 72 securing three top-20 finishes and one top-15 being his best finish of 12th place at Indianapolis Motor Speedway. "I want to thank TriStar and the Smith family for allowing me to do something I feel is the right decision for me and my family," said Whitt. "I am excited and a little nervous to say that I will be racing a limited schedule this year. I am looking forward to taking the next step in my life and trying to spend most of my time with my family. Stepping back from racing is a hard choice but I strongly believe this is the right path. TriStar has been an amazing blessing to me and my family and I look forward to what the future holds for both of us." Corey LaJoie, a third generation racer, is very well-known name in the racing community. He is the son of Randy LaJoie, 1996 and 1997 NASCAR XFINITY Series Champion. Already having an impressive racing career that includes six wins in the NASCAR K&N Pro Series East and three wins in the ARCA Series, LaJoie was selected as a member of the 2012 NASCAR Next Class, an industry platform to help spotlight NASCAR's rising stars and bolster fan recognition initiative cultivating Monster Energy NASCAR Cup Series (MENCS) mainstays. In 2016, LaJoie competed in ten XFINITY Series races and earned two top-ten finishes. He made the leap to the MENCS in 2017, earning the highest finish of his rookie year campaign; 11th place, in the Coke Zero 400 at Daytona International Speedway. "It's such a great opportunity to work with TriStar Motorsports," said Corey LaJoie. "I hope to use the learning experiences from my 2017 Rookie Season and work hard for some great finishes this year. It's my goal to continue building a successful team with Bryan, while honoring the legacy his dad, Mark left behind." "We are taking a different approach with our competitive platform for 2018 by utilizing two drivers", said Bryan Smith, owner of TriStar Motorsports. "It is an opportunity we feel is the best direction for this season and accommodates the goals of both drivers as well as the team. We are more than pleased with Cole's efforts in 2017 and are extremely glad to have him back this season. He has been an integral part of our return to the Monster Energy NASCAR Cup Series and we appreciate his contributions to our team. We are equally as pleased to add Corey to our driver roster. His attitude, desire and ability are a welcomed addition and we feel he will be a great fit. We feel both drivers embody the core elements of who we are as a team and are confident each will contribute to the betterment of our program." TriStar Motorsports has acquired a charter from Front Row Motorsports for the 2018 season and will continue competitive efforts under the direction of Crew Chief Frankie Kerr. TriStar Motorsports NC, LLC is an independent, family owned and operated NASCAR team located Mooresville, North Carolina. The organization currently fields one, full-time entry in the Monster Energy NASCAR Cup Series (No. 72) with combined efforts of drivers Corey LaJoie and Cole Whitt.